Three takeaways from Portland's 2-1 win in Orlando. Group hug as the Thorns rack up goals against the Pride. The Thorns refused to pack it in. After a mostly uninspired first half, a blistering long-range goal by Jasmyne Spencer put the Thorns down 1-0 in the 67th minute. What the girls in red did next was as impressive as anything they’ve done all season: taking a cue from 2013-era Caleb Porter (big hearts, brass balls), they stole two goals in the last fifteen minutes of play. 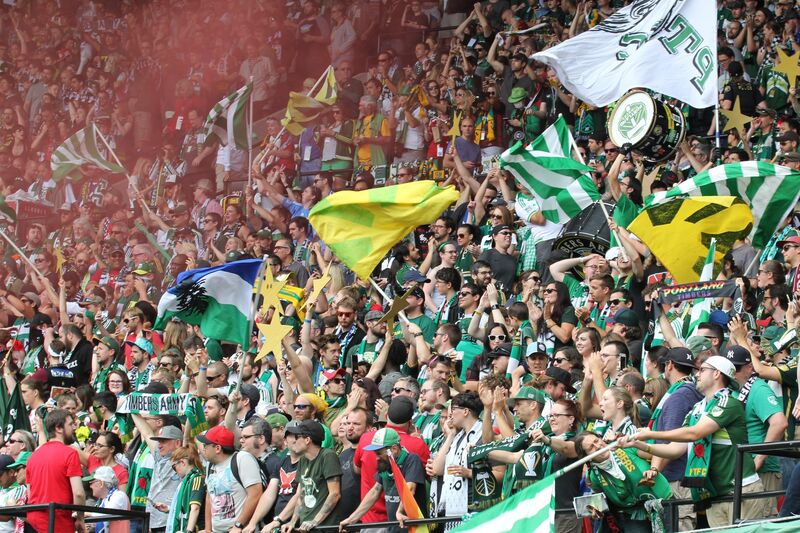 And unlike the Timbers, who were back in Portland earning a comeback win of their own off a pair of second-half penalties, both goals are worth rewatching. 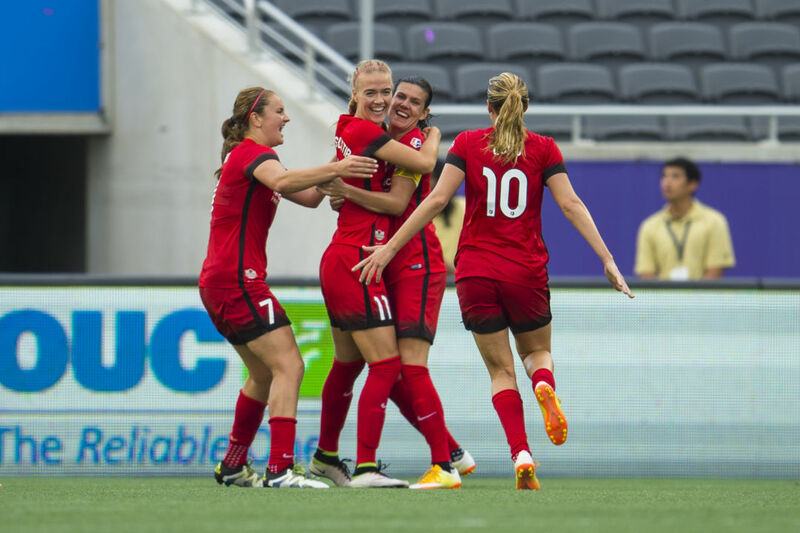 The first, in the 79th minute, came when defender Emily Sonnett played a precision strike to Christine Sinclair, who deftly tipped the ball forward with her head. Norse marvel Dagny Brynjarsdottir, fresh off the bench, just beat defender Laura Alleway to the ball and nailed it to the back of the net with a desperate, exquisite flying kick. Then, in added time—extra long thanks to a scheduled hydration break—Sinc shot a long diagonal ball to Hayley Raso in the box, switching the attack from the left to the right. Before Orlando could catch up, Raso tapped a pass to Lindsey Horan, who one-touched the ball past keeper Ashlyn Harris. The first 80 minutes were a mixed bag. There’s a lesson in this comeback win: despite their penchant for patient, possession-based play, the Thorns are often most effective when they hit hard and fast. Whether off a long ball from behind or a quick switch from one side to the other as we saw Sunday, many of their recent goals have come from big through balls, not clever short passes (not that the latter never works—a little piece of every Thorns fan’s heart died Sunday when Tobin Heath was caught just offside following this lyrical sequence, where Sinc and Horan both seem to have eyes on the back of their heads). In general, Portland didn’t control the game the way they have in recent games. Part of that probably has to do with fatigue, as this was their third game in ten days, and it was oppressively hot in Orlando—although, to be fair, the Pride was in the same boat on both counts. On top of that, though, it has to be said that they’ve often done a lot of sitting back and waiting in recent games, content to dominate possession in midfield even as they neglected to really push for goals. Orlando managed to pressure that midfield better than Chicago or Western New York did, and this game looked like a much more even matchup than their last three. Things are about to get harder. Five Thorns are about to head to a pre-Olympics USWNT camp, meaning Portland will go four games without their full starting roster. 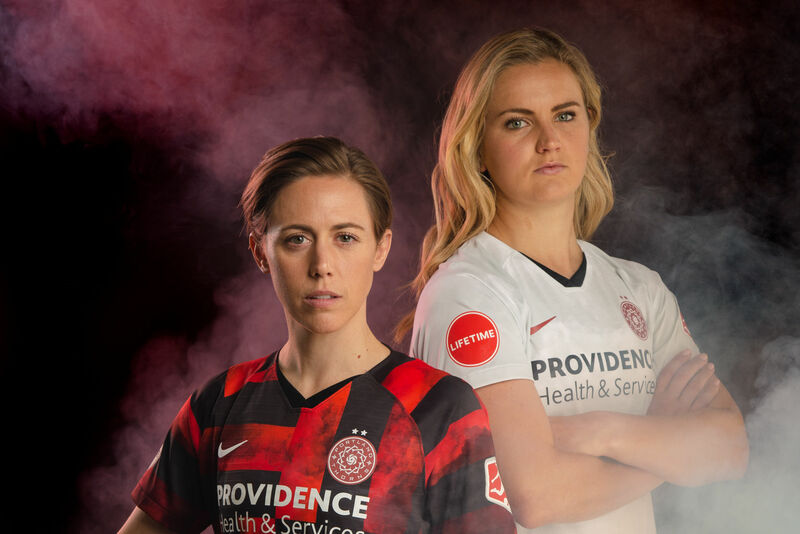 Sinclair and Amandine Henry, who will also play in the Olympics, look to be around for at least one more game at Providence Park. After that, the Thorns will rely on their bench, including their non-roster amateurs, to grab results. The upcoming mass exodus will cut extra deep following the loss of Meg Morris, who was a revelation on both ends of the ball, to a season-ending hip fracture. It’s hard to imagine Portland won’t drop some points in the upcoming stretch. They’re about to lose key players from end to end, and no other team in the league will be hit with as many absences. On the other hand, three of the four July games are at home, and all are against teams on the bottom half of the table. 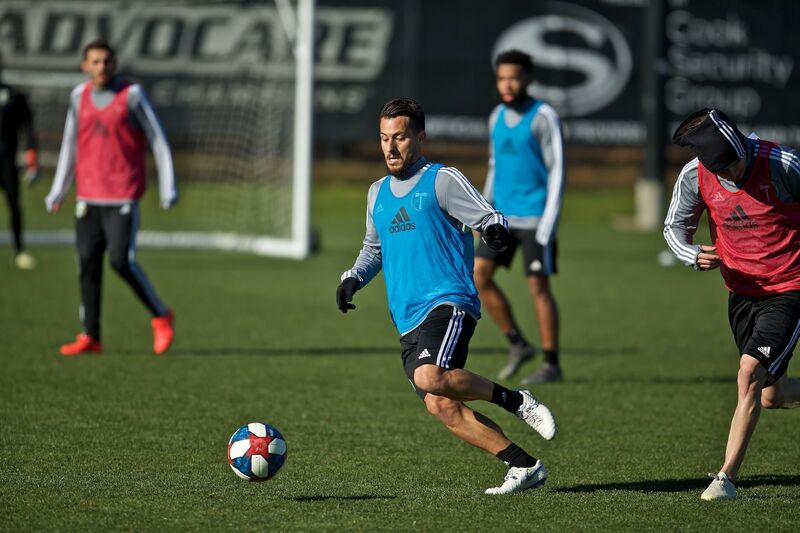 We’ve already seen the bench players muscle out a draw against Seattle. 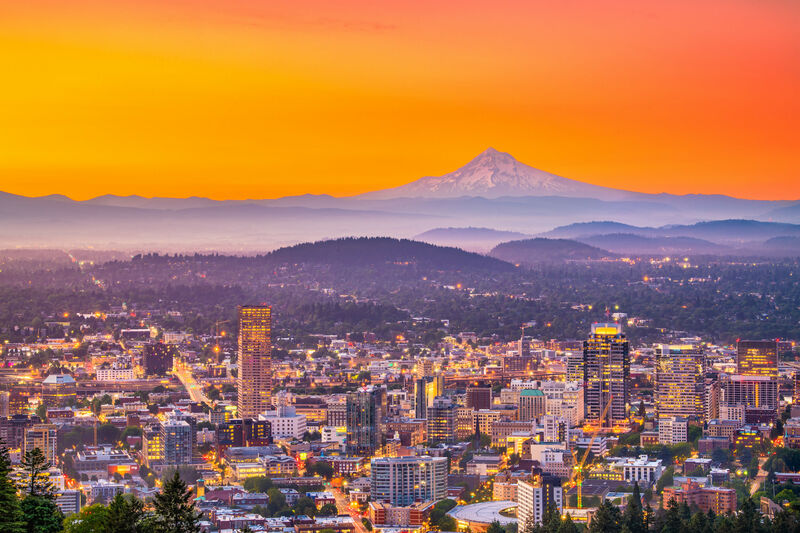 Perhaps most important, unlike the World Cup last year, Portland is sitting comfortably in first place going into the Olympics. This isn’t just a talented team, but a remarkably tough, gritty, and tenacious one. Don’t be surprised if they get through this stretch—maybe not unscathed—but still swinging.